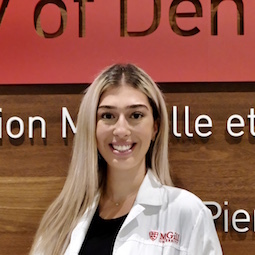 Interested in learning more about our Undergraduate Dental Programs (DENT-P and DMD) and what it means to study dentistry at McGill University? Our Student Ambassadors are available to answer your questions about life as a dental student as well as share their stories and experiences. Subject to the availability of the ambassador, you may also request a tour of our preclinical laboratory as well as our dental clinic. Browse through our Student Ambassador’s profiles below to learn more about each of them. If you find someone with whom you would like to chat, feel free to contact this person directly by email with any questions or concerns you may have. We would ask that you please refrain from sending the same message and questions to many ambassadors at the same time. If you would like to visit the Undergraduate Dental Clinic, you can contact one of our 3rd or 4th-Year Student Ambassadors and ask for a tour. Click on the 'Français' link located in the upper right corner to see the profiles of our francophone ambassadors. Mini-Bio: I grew up in Toronto but moved to Ottawa for high school and stayed for my undergraduate degree at uOttawa. At uOttawa, I was a science representative to the student union and VP design for the Pre-Dental Club. I love design, graphics, and aesthetics which really lends itself to a career in dentistry! I was also the social chair for my sorority; I love meeting new people which is why being in a human-centred career was important to me. Along with my sorority, I participated in many fundraising campaigns and philanthropic efforts for CHEO, St. Jude Children’s Hospital, the Ottawa Mission, Moontime Sisters, just to name a few. Being involved in my student community and community at large is always a privilege and extremely rewarding. 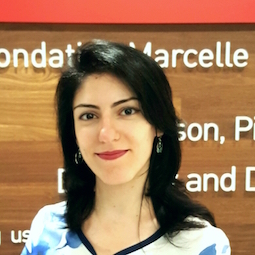 I chose McGill dentistry because the classes are small and the facilities are amazing. Also, it doesn’t hurt that Montreal is a mecca for food and culture. In my spare time I like to stay active through cycling, rock climbing, and the sporadic gym session. Please reach out if you have any questions! Mini-Bio: I think it surprised absolutely no one that I decided to pursue dentistry. Growing up, I was always the odd one out- I actually enjoyed sitting in that big chair. I come from a big Lebanese family, the likes of which I could only compare to my Big, Fat, Greek Wedding, and I would say that in addition to a love of traveling and eating, one of my favorite things to do is to spend time with my family and friends. Born and raised in Ottawa, I attended the University of Ottawa and graduated with a degree in Health Sciences. However, I would say that my passion for dentistry preceded any formal university education. It is the characteristics that are unique to dentistry that compel me most to the profession- the long-term rapport and immediate care a dentist provides are only to name a few. It’s been through charitable dental events and volunteering with the Ottawa Dental Society that I became aware of some of the real difficulties that the profession faces with inclusivity. It was for this reason that I decided to pursue dentistry at McGill- for its emphasis on community and leadership. Do not hesitate to contact me! Education: DEC in Health Science (Dawson, College, 2014); B.Sc. Exercise Science with minor in Multidisciplinary Studies in Science (Concordia University, 2018). Mini-Bio: Born and raised in Montreal, from a young age I’ve dabbled in various forms of art such as mixed media painting and sculpting. I’ve therefore always known that I enjoy working with my hands and thus sought a profession that would allow me to use this passion, leading to dentistry being a good fit as manual dexterity and attention to detail are a must. In high school I started volunteering at the Cummings Centre, Jewish General, Mount Sinai and Maimonides Hospitals, working primarily with elderly individuals which impressed the need for proper health care. I currently am a Listener for a helpline and help local organisations with their events, such as Pride Week. 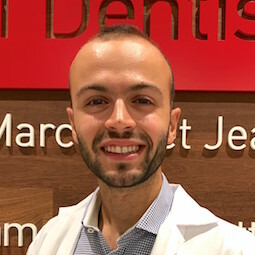 Working with people from all walks of life has allowed me to deepen my understanding of the different issues everyone faces and solidified my decision to complete my studies at McGill Dentistry due to the faculty’s high degree of social awareness and the dental care they provide to underprivileged members of our community. When not working, I enjoy hiking, playing soccer and “geeking” out over Harry Potter. If you have any questions, please don't hesitate to contact me! Education: DEC in Health Science (Dawson College, 2017); Dent-P Program (McGill University, 2018). Mini-Bio: I was born and raised in Hemmingford, Quebec, which is a small village of 900 people bordering New York State. Part of my family is from Mooers, New York and I hold dual citizenship. Being from a small town, I’ve always had a strong sense of community. In high school, I participated in field hockey, I mentored students with learning disabilities and I was the student union co-president. Moving to Montreal to attend Dawson College required an adjustment. To get involved with my new community I began volunteering at the Montreal Children's Hospital. I later started volunteering at the McGill Dentistry Summer Clinic and at the Mobile Clinic. 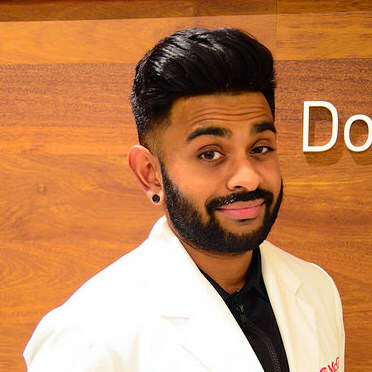 These community outreach programs reaffirmed that McGill Dentistry is right for me. 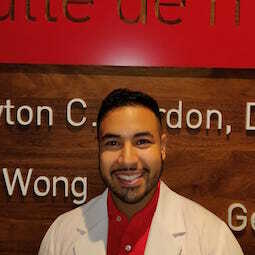 I’ve always had a passion for dentistry and I knew that McGill would allow me to continue to be involved and give back. Aside from school, I’m a strong believer in the importance of making time for yourself. On my days off you’ll find me crafting, cooking, reading a good book and enjoying time with friends and family. Please contact me if you have any questions! Education: DEC in Health Science (John Abbott College, 2017); Dent-P Program (McGill University, 2018). 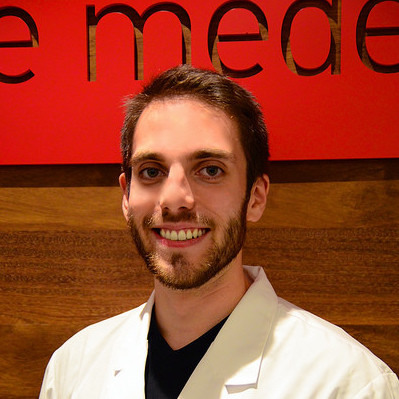 Mini-Bio: Born in Montreal and raised in Dollard-des-Ormeaux, I couldn’t be happier to be a dental student at McGill. From a young age, I loved to create and work with my hands – 3D puzzles are my favourite and there is rarely a time when I am not working on a model. Moreover, care, compassion and respect are core values in my family and are manifested in my daily life. Slowly but surely, life was funneling me towards a career in dentistry. My first encounter with oral health, however, was both a terrifying and amazing experience. At seventeen, I developed a cyst on my gums and was immediately overcome with fear. Yet, the kindness, professionalism and knowledge displayed by the dental professionals greatly appealed to me. 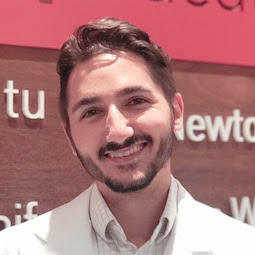 When it came to selecting a career path, dentistry was undeniably the choice for me, combining manual dexterity, my inquisitive nature and love for learning, and my desire to help and connect with others. Outside of the classroom, I play sports both competitively and recreationally – the soccer field is my second home. To me, nothing beats a challenging puzzle or a page-turning spy book. I also love watching movies and spending time with family and friends. Feel free to contact me at any time - I'd be happy to help in any way possible! Education: DEC in Health Science (Vanier College, 2013); B.Sc. Kinesiology (McGill University, 2016), B.Sc. Physiotherapy (McGill University, 2017 – discontinued upon acceptance in Dentistry). Mini-Bio: Born and raised in Montreal, I had always a passion for the multicultural ambiance of the city. Fluent in 5 languages, I never hesitated to partake in the various activities that the city has to offer and build friendships with the students of different academic and cultural backgrounds. My hobbies include music as I play the piano and the trumpet which enabled me to compete in various provincial music contest with my school orchestra. I also have a strong passion for physical fitness through my career as a personal trainer/Kinesiologist prior to entering McGill Dentistry. From a young age, I was an active volunteer for my community centre and for the local residence for the elderly where I was taught the importance of patience, compassion and respect. 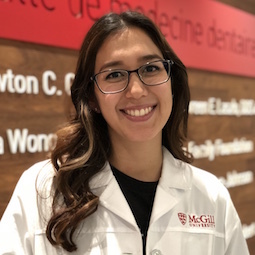 Giving back to my community is a family value instilled in me from a young age and inspired me to join McGill’s Dental Outreach program as a volunteer in CEGEP. I was drawn to McGill dentistry because of its academic excellence, diversity and community engagement. I look forward to continuing in community initiatives in my career as a dentist. Please do not hesitate to reach out to me for any questions! Education: B.Sc. Honors Specialization in Interdisciplinary Medical Sciences (Western University, 2017). Mini-Bio: I come from a Brazilian family; however, I was born in Japan and moved to London, Ontario when I was six years old. Considering my multicultural background, one of my greatest passions in life is traveling and I tend to be in a different country during every school break! To this day, I have been to all seven continents and over fifty countries. When I am not traveling, I enjoy bike riding in Montreal, reading Dan Brown novels, and listening to the musical Hamilton on repeat. I knew I wanted to pursue dentistry when I pulled my friend’s tooth out in the middle of my grade one classroom. Since then, I have shadowed and assisted several dentists, worked in a dental research lab, and volunteered for the outreach program at Western University. Each experience confirmed my desire to pursue a career in dentistry. I enjoy the idea of working with my hands to create a product specific to an individual. Moreover, a dentist's ability to not only relieve pain but also fulfill a patient's cosmetic desires greatly entices me. I am ecstatic to pursue this great profession at McGill University. Please feel free to ask me any questions! Mini-Bio: I was born and raised in Montreal in a big Greek family. I chose to pursue a career in dentistry because it combines my passion for science and artistry. I love building and painting miniature airplane models because of the focus I achieve and the intricacy involved to attain a beautiful result. I am also excited for the management side of dentistry. Growing up, I watched my father grow his restaurant and was fascinated by the way he made decisions to offer the best service and product in an atmosphere where clients felt at home. I am striving to develop that same mindset for my dental practice someday. 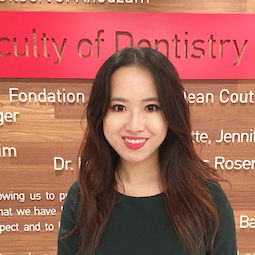 I was drawn to McGill dentistry because it embodies community spirit. My experience with their Outreach program, which sets it apart from other dental schools, made me realize that many people are unable to afford dental care. To lend a helping hand, I organized two fundraisers and a Seeds of Change crowd-funding campaign, raising over $7500 for Outreach. My favorite past times include playing hockey, golf, the guitar, and watching reruns of my favorite sitcoms (e.g. Friends). Don't hesitate to contact me with questions. I’ll be more than happy to help! Mini-Bio: I was born in Montreal and moved around Eastern Canada during my childhood, but spent the majority of it just outside of Saint John, New Brunswick. 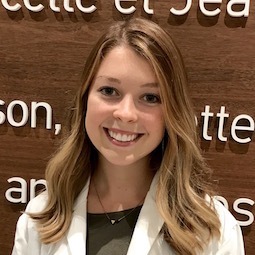 I studied Health Science at Bishop’s University and had the opportunity to take part in a pain research project in collaboration with the department of Pharmacology and Physiology at Université de Sherbrooke. The project I was involved in examined spinal cord plasticity during the pain associated with bone metastases. 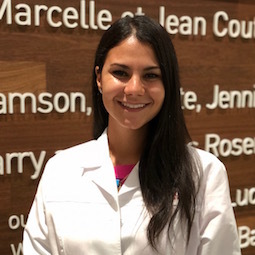 I was inspired by my own family dentist to pursue a career in dentistry and my research experience reinforced my desire to work in a profession where I could help alleviate pain and improve the quality of patients’ lives. During my undergraduate studies, I volunteered with a medical and dental outreach group in rural villages around Cusco, Peru. Working in these communities, isolated from all healthcare, was an eye-opening experience and I hope to continue to work with vulnerable populations in the near future. In my spare time you’ll find me skiing, running, doing yoga, painting and crafting or trying out a new recipe. Contact me with any questions, I would be happy to help! Mini-Bio: I was born at Sacré-Coeur hospital, I grew up in Montreal and I still live in this beautiful, yet imperfect city that I have the pleasure to call home. Needless to say, I’m a Montrealer through and through. What makes me the proudest of being a part of this booming mix of potholes and orange cones isn’t Schwartz’s deli or Saint-Viateur’s bagels, but McGill University. 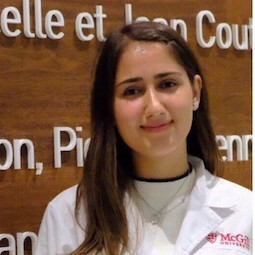 Not only is McGill preceded by its outstanding reputation, it’s also built on very strong core values: giving back to the community, altruism and hard work. These are just some examples of principles that are on par with my own convictions and it’s also the reason why I chose this university to pursue my studies in dentistry. Also, early on in my life, at around age nine, I already knew I wanted to become a dentist. I was and still am passionate about arts and sciences and was completely amaze by the outstanding finesse my dentist would demonstrate to treat and reassure me when I was on the chair. It sparked an immense interest for that profession. Before applying to dentistry, I graduated from Université de Montréal with an undergraduate degree in Biomedical Sciences. During that three-year program, I worked on a couple of research projects assessing the risks of developing Alzheimer’s disease after a myocardial infarct. Finally, for the past seven years, I’ve been working as a lifeguard and a team supervisor in CDN/NDG, I’m passionate about jogging, swimming and I’m also the biggest car guy in the world! Looking forward to meeting and helping you. Feel free to join me at any time. Mini-Bio: Born and raised in Montreal, I spent my childhood trying all sorts of different activities. My diverse experiences such as trying various sports, taking language classes and learning about art, have helped me orient myself towards what interests me today. Having a forte in drawing and sculpting with Play-Doh as a child, manual work was something I always appreciated. Also, having parents in tight bond with the local church, I instinctively grew up being there to help my community and to interact with others. I swam competitively for ten years before I became a coach of the same sport. I greatly cherished all those years spent interacting with motivated children. I got the chance to watch them develop their social skills and help them pursue ambitious goals. 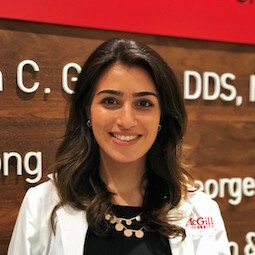 I chose McGill Dentistry for its social awareness and generous gestures to society’s oral well-being, my satisfaction for manual and precise work, and my appreciation for human health seen through nice smiles. In most recent years, exercising, playing sports, discovering culinary art, learning about the dental field, and establishing great relationships are what have been keeping me busy. It would be my greatest pleasure to answer any of your questions! Mini-Bio:I was born and raised in Montreal, a city with a vibrant culture unlike any other. I am thrilled to be pursuing my dental studies in my hometown. I am an avid hockey fan – I work as a tour guide for the Montreal Canadiens, giving Habs history tours of the Bell Centre. I have also been a volunteer with Saint-John Ambulance for five years and this is one of our primary venues at which we provide our emergency services. This experience allows me to combine my passion for helping others with my passion for music and hockey; giving me the opportunity to provide treatment at a variety of events. It was through this experience that I truly discovered how much I enjoy working with people and serving as a sense of comfort in stressful situations. On that note, something that greatly appealed to me about McGill’s Faculty of Dentistry is the community outreach program. 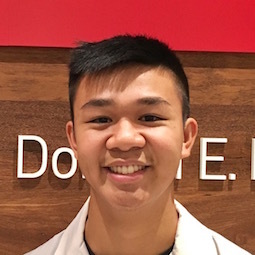 I have volunteered at the Outreach clinic in the past, and providing dental care to the underprivileged members of my community is something that I hope to continue to pursue and be involved with throughout my future dental career. Please feel free to contact me! Education: Software Engineering Undergrad (Université de Grenoble, 2001); Bachelor of Business Administration (École Sup. de Commerce de Grenoble, 2002); M.Sc. Management (École Sup. de Commerce de Grenoble, 2004); M.B.A. (Grand Valley State University, Michigan, USA, 2004); B.Sc. Biology (Concordia University, 2016). Mini-Bio: I was born in France, and moved to Canada 11 years ago. Having several family members in medical and dental professions was too obvious to influence my career choice. Having great interest in innovation, I therefore decided to pursue a first career in Information Technology and Management. I worked 10 years as a Consultant and Director for Accenture (former Andersen Consulting) then CN Railway. I was appreciated and recognized, but I did not completely realize myself. I was missing the contact with people, the scientific part of it, as well as working with my hands and visually seeing my work take shape. Deep inside, I always knew I wanted to be a dentist, and more than a decade after graduating, and a son born along the way, I decided to take the plunge and here I am! When I am not working/studying or taking care of my family, I am a passionate competitive cyclist. Mini-Bio: I grew up in Rive de Gier, a small town not far from Lyon in France. During my childhood, I played the piano and learned music theory at an advanced level. I then immigrated to Montreal to pursue my degree in biochemistry at the University of Montreal. While studying, I volunteered in my school’s society and in an organization that helps newly accepted Canadian immigrants improving their French. After my Bachelors, I travelled to Europe during a year to learn new languages, meet new people and step out of my comfort zone. Afterwards, I started a Certificate in entrepreneurship at HEC Montreal to gain notions in business and to widen my knowledge. Besides school, I practice dragon boat, jog, and write songs. 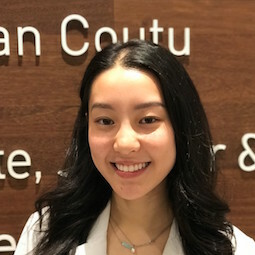 I chose dentistry because I am a detail-oriented person and also because I find that this is a very dynamic field where research and new treatment techniques never stop evolving. Moreover, I think dentistry combines quite well every field of study I have been in contact with in the past and also offers the opportunity to have a respectable quality of life while allowing to interact with patients and colleagues in a stimulating work-related environment. Feel free to reach me if you have any questions, I will be glad to help you out! Education: B.Sc. Honours in Chemistry (Dalhousie University, 2016. Mini-Bio: I was born in Cape Breton, Nova Scotia, and spent most of my life in Halifax. A maritimer through-and-through, I love spending days on the beach, eating fresh seafood, reading a good book, and playing music. I grew up playing the piano, the violin/fiddle, and later in life I taught myself to play the guitar. Music is one of my passions, and I am always down for a good jam session or campfire sing-along. When it came time to decide what I wanted to do as a career, dentistry seemed like the perfect fit. I always knew I wanted to make a career out of helping people, but I also loved working with my hands, I liked the concept of owning my own business one day, and I definitely wanted something with an artistic twist. When researching the various dental schools across the country, McGill quickly became my first choice. 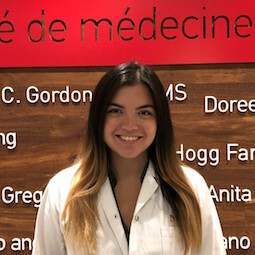 I was intrigued by the emphasis on medicine, the opportunity to develop my French communication skills, and the unique Community Outreach program that McGill offers. 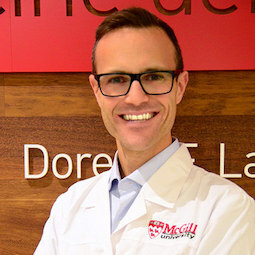 When you combine the small class sizes with McGill's prestigious reputation, my decision to choose McGill for my dental education was a no-brainer. Education: Honours B.Sc. Specialization in Kinesiology (Queen’s University, 2016). Mini-Bio: I grew up in Kingston, Ontario where I completed my education prior to dentistry. What sparked my interest in this profession was the impact one can have on individuals such as aesthetics, self-esteem, function, phonetics and nutrition. My family dentist was very passionate about his role in the community, and this rubbed off on me. During my free time, I enjoy taking part in a variety of different sports. I love engaging in water sports such as windsurfing which I have been doing for several years now, and I am now slowly taking up kite surfing. I enjoy playing soccer and racquet sports such as tennis, badminton and ping pong. Before selecting McGill University, I contacted a student ambassador to gather more information about the school. I understand the importance of getting a student’s perspective, and it is my pleasure to share my knowledge and my experience with you. Education: B.Sc. Biology with minor in Psychology (University of Toronto, 2011. Mini-Bio: I was born in Montreal and grew up in Toronto. I am a huge sports fan, but I choose to remain neutral instead of picking sides with the Canadiens and the Maple Leafs. I chose to pursue a career in Dentistry after participating in several humanitarian trips in Central America. 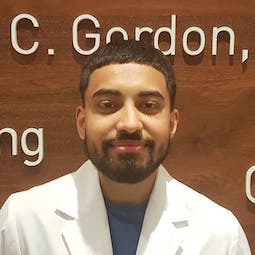 By getting to work alongside dentists to provide care in underserved areas, and subsequently shadowing my family dentist, I was able to gain an appreciation for the unique relationship that exists between a dentist and each patient. 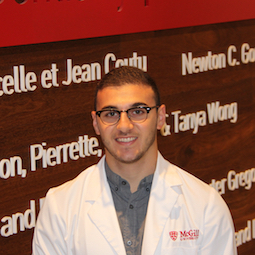 Captivated by my own interactions with patients, I was excited to pursue a career in dentistry. My future aspirations are to own a clinic through which I can serve my community. Mini-Bio: I was born in Halifax, Nova Scotia, and grew up a little outside of the city. After high school, I went to Acadia University where I completed a degree in chemistry. During my time at Acadia I was lucky enough to get a position as a student researcher working on various projects involving photo-activated cancer therapy. I first became interested in a career in dentistry during my undergraduate degree when a few of my friends began the application process. I did some research into the field and decided that it would be a good fit for me, as I love the sciences, I like to work with my hands, and the concept of owning my own business has always appealed to me. I applied to McGill as an out-of-province student after researching various programs and deciding that McGill had both a curriculum that interested me and a great reputation. I do a bunch of different things for fun - I love to run and hike, as well as just hang out and toss a Frisbee around. I dabble in photography, I like sitcoms, and I'm always down to play a board-game. Please feel free to contact me! Mini-Bio: I was born in a small town in Belgium but I grew up on the South Shore of Montreal! I attended Centennial Regional High school and then Marianopolis College. Everyone in my family has worked in the domain of art and social sciences, besides my parents, who both pursued a career in science; and as a result, I was exposed to the best of both worlds. 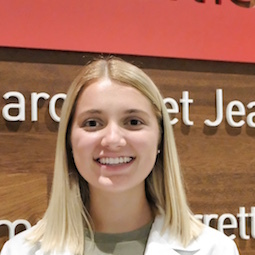 In high school, it was during my volunteer shifts at the Montreal General Hospital that I had my first interactions with patients, and knew from that point on that I wanted to work in the domain of healthcare – I wanted to be able to help people in need, and follow up with them over the long term. Later on, I was drawn to the profession of Dentistry because it is the perfect balance between art, healthcare and craftsmanship. Applying to McGill was daunting at first, coming straight out of CEGEP, but I was welcomed with open arms to a school with a strong sense of community and incredible programs aimed to service the Montreal community. Aside from all the academics, I’m an avid reader, aspiring gardener, and one-day hope to adopt a dog! Mini-Bio: I was born and raised in the beautiful city of Esfahan. My family moved back and forth between my hometown and Montreal before I decided to settle here with the goal of one day studying at McGill. Having moved so much was a bittersweet experience, but I met people from a variety of different background, and this helped me appreciate the beauty of diversity. A career in the health field was of great interest to me, but I was puzzled regarding which journey I would like to take on. To help narrow my decision, I decided to volunteer as a First Aid responder at my College and at a hospital dialysis center. These volunteering experiences gave me an opportunity to interact with many physicians, nurses, and assistants. I enjoyed this experience, but felt like it was not the profession for me. During this time, I learned more about the field of dentistry, and this sparked my interest. As someone who has been painting for more than l0 years now, dentistry had an appealing combination of health science and art, with the addition of patient interaction. In my free time, I love to paint with watercolors. I LOVE chocolate and enjoy discovering new cozy coffee shops. It would be my pleasure to answer any questions! Mini-Bio: I was born in Montreal, Quebec, and I grew up on a little island just past the West Island. I attended Collège Saint-Louis and then Marianopolis College. At a young age, I developed an interest in helping people in need, which was why I volunteered at retirement centres, at hospitals, and also worked as a camp counsellor for disabled children for several years. The satisfaction that came with providing my help to others was what led me to embark on humanitarian trips to third-world countries, where we would provide healthcare to underprivileged individuals. It was on these trips that I truly developed an interest in dentistry, and especially public health in this field, since I was able to witness the difference it could make in a person’s life. Other than volunteering, I love keeping busy and was always actively involved in extracurricular activities. I was part of the student council at Marianopolis College, during my Dent-P year at McGill College and also this year during my first year of the DMD program at McGill College. I was also executive for clubs such as UNICEF, Global Brigades and dragonboat. Mini-Bio: I was born and raised in Ottawa, Ontario, in a French speaking family. I grew up as a competitive dancer, along with my younger brother, which enabled me to travel across Canada and the United States. After high school, I decided to pursue a Bachelor’s degree in Human Kinetics at the University of Ottawa. During my last years in undergrad, I became a research assistant with the Healthy Active Living and Obesity Research Group at the Children’s Hospital of Eastern Ontario. There, I was fortunate to work on multiple projects involving physical literacy and activity in toddlers and youth. Unlike many, I had never thought of dentistry before entering university. My interest in this career grew exponentially when a friend of mine got accepted into the program and I began to research what it involved. The combination of art, precision, entrepreneurship, and of course science, made it the perfect career choice for me. During my free time, I love to do intricate crafts, baking, and cooking. It is not rare that you will find me completing a paint-by-numbers painting, a puzzle, or in the kitchen trying out new recipes. Other things I enjoy are working out at the gym, taking part in group fitness classes, hiking, traveling, and of course shopping! Mini-Bio: I was born and raised in Romania. When I was thirteen, our parents moved with me and my twin sister to the Middle East, in search of a better future for us. Adapting to this new environment was an interesting challenge, but also offered much cultural insight. After high school, I arrived in Montreal to pursue a Bachelor’s degree in Biochemistry. 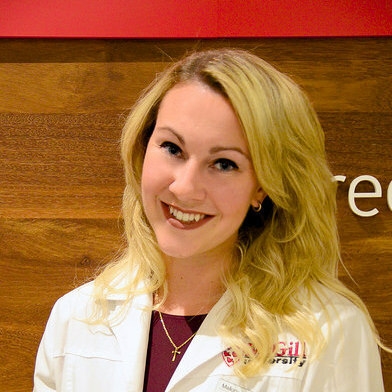 I have long been passionate about healthcare, but my interest in dentistry was born and began to grow while I was doing research on breast cancer for my Master’s degree. My research project involved protein crystallography and a lot of minute handwork, which made me realize how much I loved working with my hands. I learned more about this career by shadowing dentists across the world, and the combination of science, artistry and unique tools employed by dentistry greatly appealed to me and seemed a perfect fit. 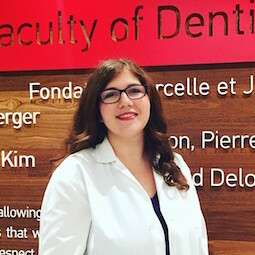 I love how being a dental student at McGill allows me to be socially involved and also get involved in cutting-edge dental research- I’ve had rewarding opportunities to participate in various initiatives providing dental services to disadvantaged populations. Apart from dentistry, I enjoy traveling, long biking trips, baking and getting immersed in a really good novel. 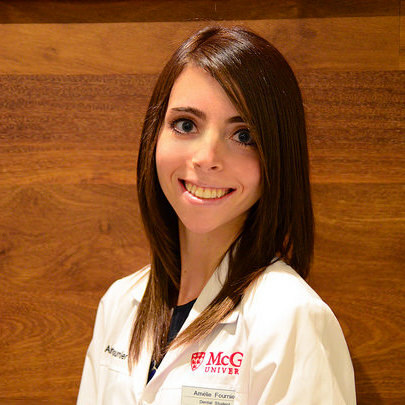 I love sharing my experience, so feel free to contact me with any questions about McGill or dentistry. It will be my pleasure to help! Education: B.Sc. Anatomy and Cell Biology (McGill University, 2012); B.Sc. Kinesiology (McGill University, 2014). Mini-Bio: I grew up in a rural town in eastern Ontario and I currently live in Montreal. During my post-secondary studies I worked mostly in the casino business, for two summers as a slot attendant, one summer as a blackjack dealer and an entire year as a gaming floor supervisor. I am passionate about health and exercise, and when I am not in class or at the library studying, I enjoy long distance running and being outdoors. To date, I have completed one full marathon and six half-marathons. I am currently training for my seventh half-marathon, which I will be completing in October 2016. 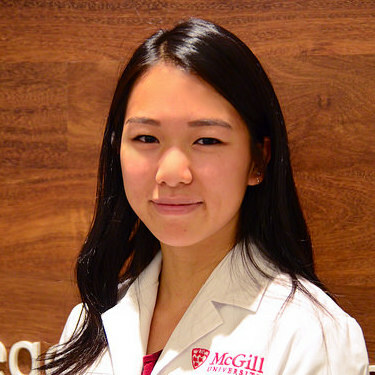 I have been a volunteer for the McGill Outreach Program since 2012 and I am very familiar with what this program represents and aims to achieve. 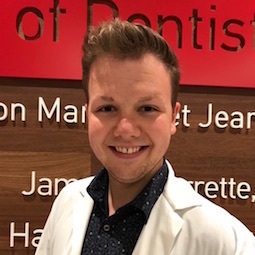 I have also volunteered for multiple initiatives aimed at serving disadvantaged populations and getting them interested in professions in dentistry and pursuing post-secondary educations, at McGill specifically. I am a strong believer in community outreach and I hope to run similar initiatives like the Outreach Program one day in my own community. Feel free to contact me if you have any questions about McGill, dentistry or Montreal in general. I would be happy to help! Mini-Bio: My childhood was characterized by eventful cultural interaction. Lived in France, then moved to Belgium before finally settling in Montréal. I attended Collège internationale Marie de France, where I developed an interest for science. I was interested in dentistry after having performed an internship at my dentist’s clinic for a week. I then had the chance to make a research to help people get exceptional dentistry at affordable prices. I am also involved in student life, having been class president in high school and my Cegep delegate. My various involvements during the DENT-P gave me the chance to meet the professorial corp when I was granted the Summer Research Scholarship and to learn more about the faculty and community engagement. With my interest for soccer, I have been working as a soccer referee for 5 years, and have been promoted to Regional ref. I love swimming, playing violin and have interest for history and actuality. In all my experiences it has always been a pleasure for me to help and share my knowledge, so I would happily answer your questions and help you in any way I can. Education: B.Sc. Honours Biopharmaceutical Science with specialization in Medicinal Chemistry (University of Ottawa, 2014). Mini-Bio: I was born in Scarborough to a South Asian family of four, but spent the majority of my childhood in Ottawa. Having an uncle as a family dentist made childhood visits to the clinic enjoyable – he explained procedures with simple analogies, showing me everything he was doing using a hand mirror and giving me a dental instruments 101. Hence, since a child, I valued the profession. Additionally, being able to provide care to people in need seemed rewarding and personally fulfilling. 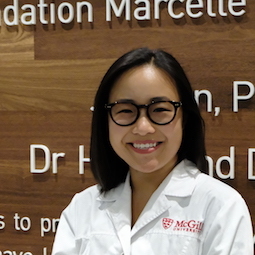 Partaking in the McGill Summer Dental Clinic and delivering oral healthcare to underprivileged groups enabled me to see another appealing side of dentistry, social activism. I was also drawn to dentistry as it was the perfect combination of healthcare, aesthetics, and entrepreneurship, features that reflected my personality. Aside from dentistry, I am passionate about leading a healthy lifestyle. I enjoy travelling, interior decorating and reality-TV. I have been a Carnatic violin player since the age of 7. I am easy going and love being around my friends and family. I will always make time for fun; I believe that balance is key to succeeding in life. Feel free to ask me any questions, I would be happy to help! Mini-Bio: I was born in China, and lived in various countries such as England and Hong Kong growing up before finally settling down in Ottawa, Canada. Having the ability to live in different environments from a young age enabled me to adapt to diverse cultures and become a very communicative individual. Since I was young, I was always very good with my hands. From music to art, I continually found success and fulfilment in the creative process. I chose to pursue dentistry, as a career because I believe it is the perfect amalgamation of my passion for community building, personal and professional development, innovation and creativity. My personal hobbies include going to the gym (especially for kickboxing and cardio dance classes), trying new recipes, painting, and learning new languages. Do not hesitate to contact me if you have questions!